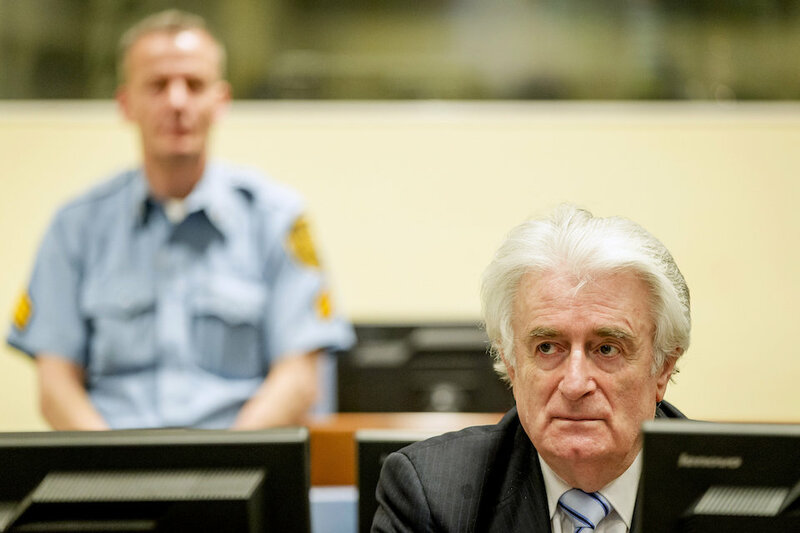 THE HAGUE (Reuters) – Former Bosnian Serb leader Radovan Karadzic was sentenced to 40 years in jail by U.N judges who found him guilty of genocide for the 1995 Srebrenica massacre and of nine other war crimes charges. 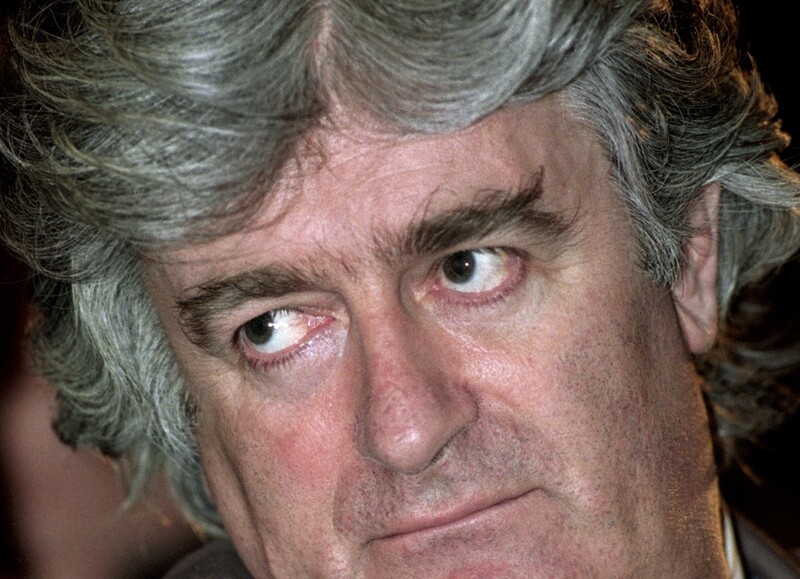 The judges said Karadzic was criminally responsible for the siege of Sarajevo and had committed crimes against humanity in Bosnian towns. 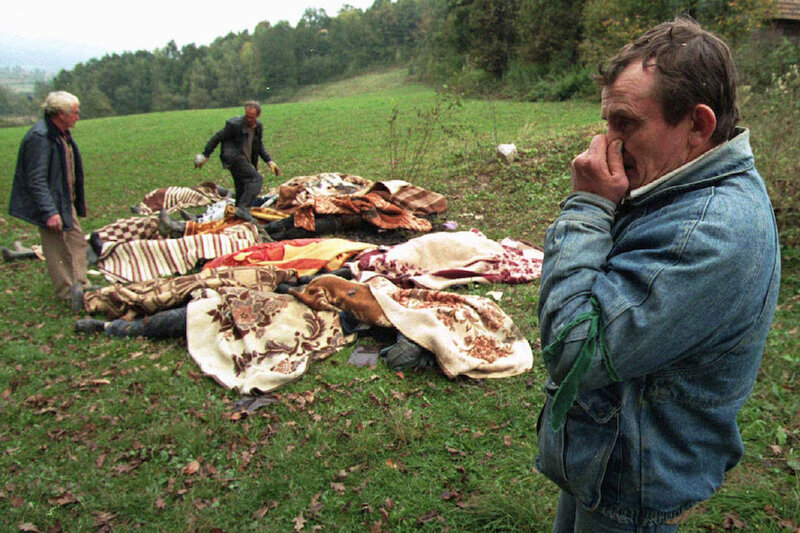 They said he had intended to eliminate the Bosnian Muslim males in the town of Srebrenica, where 8,000 Muslims died in Europe’s worst war crime since World War Two. Presiding judge O-Gon Kwon said the three-year Sarajevo siege, during which the city was shelled and sniped at by besieging Bosnian Serb forces, could not have happened without Karadzic’s support. After the hearing was closed, several victims’ families embraced before quietly leaving the courtroom. “My permanent fight to preserve the peace, prevent the war and decrease the sufferings of everyone regardless of religion were an exemplary effort deserving respect rather than persecution,” he told news portal Balkan Insight. Ratko Mladic, the general who commanded Bosnian Serb forces, was the last suspect to be detained over the Srebrenica slaughter and is also in a U.N. cell awaiting judgement. 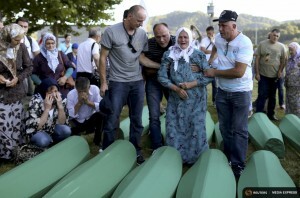 Munira Subasic, whose son was among the victims of Srebrenica, said the “verdict is very important to show new generations, especially those in Serbia who have been poisoned with hatred already, what really happened in Bosnia”. Prosecutors have been criticised for not bringing charges against two other leaders of that era who have since died – Croatian President Franjo Tudjman and Bosnian President Alija Izetbegovic. “If you had got prosecutions of those three (including Milosevic) then you’d get a really good picture of the way the violence was produced but we’re not getting it,” said Eric Gordy, an expert on the court at University College London. Prosecutor Brammertz worries that its work, which is winding down, has done little to heal the war’s deep wounds. “I’m not convinced everyone has really understood the wrongdoings from the past,” he said.